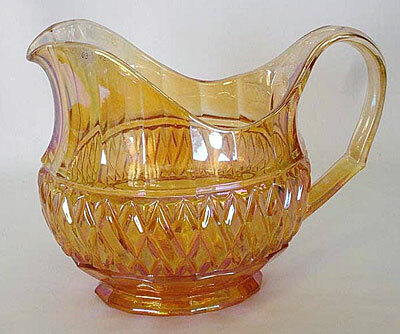 This pattern is attributed Joseph Inwald of Czechoslovakia. 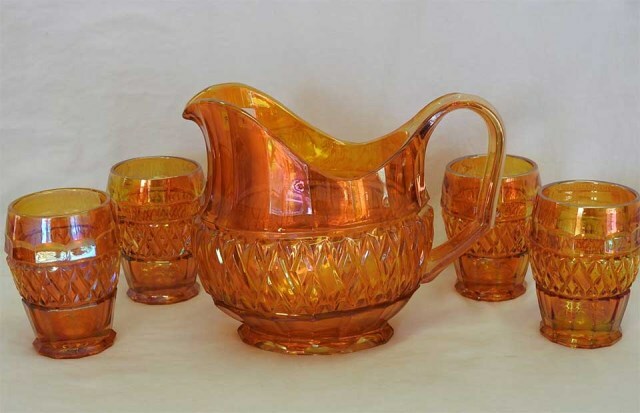 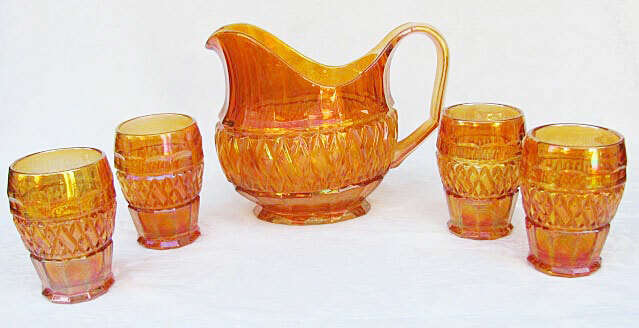 The pattern is found in three sizes of tumblers, a stemmed sherbet, and the oval water pitcher shown. 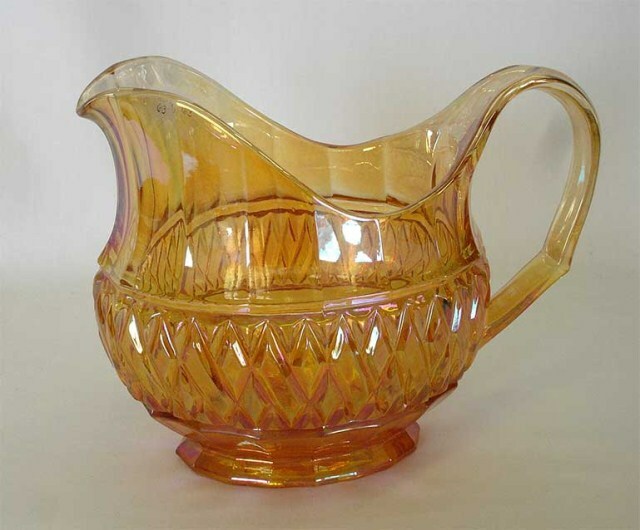 The first reported, it sold at auction in 2011 for $450. 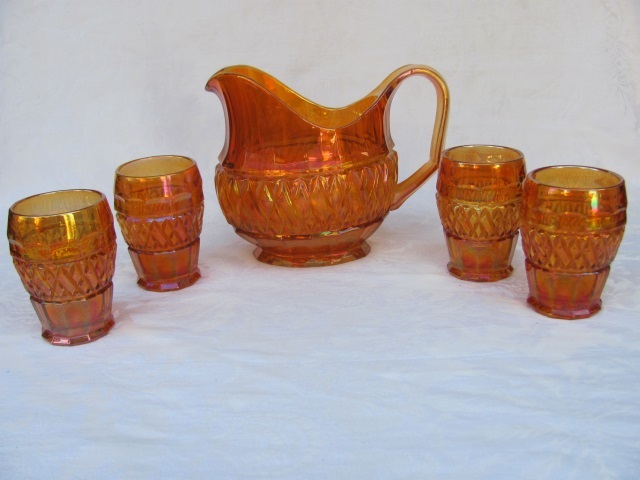 The above right group, sold as a cider set in 2014, though it is actually a water set, brought $275. 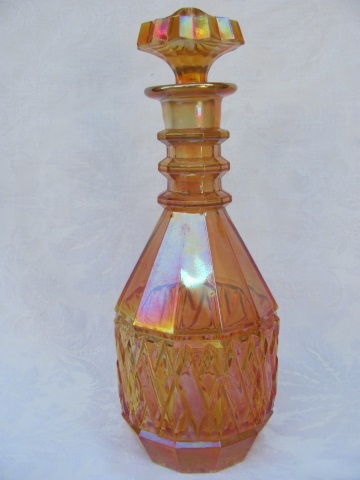 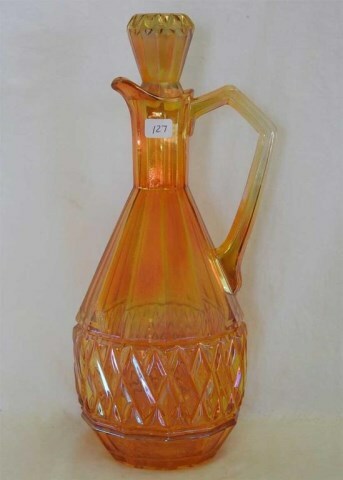 At the same auction, a wine decanter sold for $155. 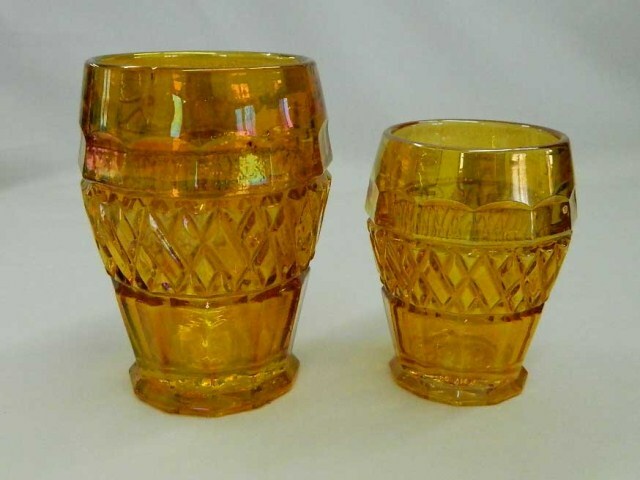 Also at the same auction, a set of four tumblers, listed as juice glasses and 3 inches tall, sold for $45 each.